I did a lot of things wrong when I first started strength training. What follows are the things I wish I'd known when I first started lifting weights. The below tips are given assuming you're fairly serious about building muscle and strength. Everyone should be doing some sort of strength training. It doesn't have to be lifting weights in the gym. Simply doing a routine at home or body weight exercises can be beneficial. The benefits are numerous and too many to list in this introduction. I suggest you read some of the posts written by strength coach and researcher Bret Contreras, in which he lists 30, yes 30, benefits of lifting weights. This is the overriding principle you have to apply when it comes to getting bigger and stronger, there's just no argument about it.. If you're not progressing in some way, whether it be more reps, more sets or more weight on the bar etc, you will not be increasing your muscle mass. I don't care if your workouts still make you feel sweaty and exhausted. If you're not placing an increased stimulus on them, your muscles will not continue to grow. The reason is because your body adapts to the demand on it. Side note: It makes me laugh when people say that they change their workout every week, so their body doesn't adapt to it. Really?? 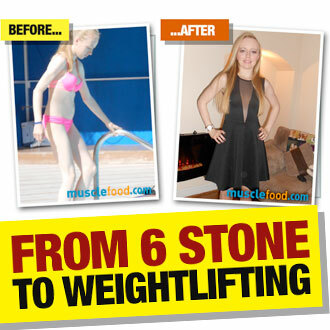 Well, that's what muscle growth is - your body adapting to the stimulus of lifting weights! You still don't want your body to adapt? Anyway... as I mentioned in my little tangent, muscle growth, (hypertrophy), is your body adapting to the stimulus of lifting weights. Your body looks to increase its muscle mass to meet the demands placed on it. If you never place an increasing demand on your muscles, by increasing apply some sort of progressive overload, your body has no reason to keep increasing muscle mass. Once you have enough muscle mass to perform the workouts you do, it has no reason to build anymore. So you need to continually give your body a reason to grow more muscle, by continually increasing the demands you place on it. When reading the other tips I give below, you need to keep the principle of progressive overload in mind. Don't rush! Don't try to progress too fast. You don't need to do the absolute most you can do to keep growing. Just do a little bit more than before. In fact, it could be counterproductive to do the absolute most you can. Going ‘beast mode’ every session, trying to progress too quickly, will likely hamper you recovery. You might get away with it for a few weeks, but it will eventually catch up with you. Don't expect to improve every session. When you first start out, progress will happen fairly quickly. However, as you continue to train, progress will slow down. Staying at the same number of reps/sets/weights for a few weeks is completely fine, even a month or 2 if you’re an experienced lifter. The longer you train, the slower the progress will be. As long as you’re improving over the course of the months and years, you'll be golden. 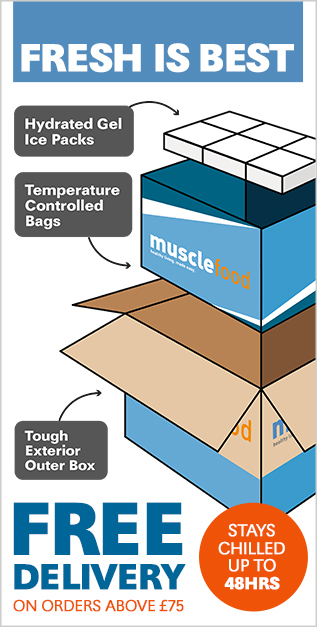 Applying the principle of progressive overload is the key to continued muscle growth. Over the course of weeks, months and years, you must be subjecting your body to an increased stimulus. By doing more reps, more sets or adding weight to the bar your body has to adapt by building more muscle tissue. This is a mistake I used to make and often see people making as well. But you shouldn't rush your rest intervals, particularly when using big, compound lifts. You might have heard that shorter rest intervals increase growth hormone, (which they do, but the extent it does has zero actual bearing on muscle growth). You might just like to feel like you’re working hard or get a bit of a pump. However, if your goal is to get big and strong, you’re primary focus should be on accumulating an appropriate amount of total volume. As researcher Brad Schoenfeld PhD highlights in this post on a his 2016 meta-analysis. So, as volume increases, so does muscle growth, (up to a point). Therefore, if keeping rest periods fairly short means that the total volume is less, which it probably will be, then you won’t be making progress. Note: Most of your volume should be in the range of 60-85% of your 1 rep max. Anything less than 60% doesn't appear an adequate stimulus to induce muscle growth. Any over 85% and it's hard to accumulate enough volume, in a practical sense. Also, there is such a thing of too much volume. As touched on above, you don’t need to go ‘beast mode’ every session. Despite what the memes say. Of course, you will make progress to start with, because doing any amount volume will cause you to get bigger and stronger. There will come a time, however, when progress stalls, and you’ll need to increase volume. If you’re too focussed on keeping rest intervals short, for whatever reason, and it’s preventing you from adding kgs to the bar or adding more reps/sets, then you’ll struggle to make long term progress. Take as much time as you need to, to feel ready to perform the next set. Obviously, you don’t want to be taking 8-10 mins between sets of bench press, especially on a Monday when there’s a long queue forming. But taking 2-4mins between sets, particularly when doing big, heavy, compound lifts is fine, even beneficial. Then, when you move onto more isolation or machine work, taking 45-60secs rest between sets if you like, to get a nice pump and get a bit of a sweat on is fine. I enjoy doing that myself. But just know that you shouldn’t cut them so short that you’re comprising your total volume too much. 3. You don’t need to train to failure every session. So many people make this mistake but there's no need to train to failure all that often. Particularly not on compound lifts. The aim should be to build strength, not test it. There is a difference. As I touched on above, it’s common for people to want to feel like they’re pushing themselves. They want to feel like they're training hard. And I do get that. I do too. But there’s no need to absolutely ‘smash’ yourself every time you step into the gym. 1. It increases your risk of injury. The closer you go to failure, the poorer your technique will be, increasing the risk of injury. OK, so you’re not very likely to injure yourself doing biceps curls, but going close to failure on squats, deadlifts and the like, is just an injury waiting to happen. 2. Going to failure will cause more muscle damage and therefore more muscle soreness the next day. As I mentioned above, volume has a dose dependant relationship with muscle growth. Not only in a single session but across the whole training week, month and even year. So if you’re still sore 3-4 days later you’re unable to train that body part again as effectively. Therefore, overall volume will likely be compromised. Training has a cumulative effect. Don't focus on individual sessions so much that future sessions could be compromised. You don't make progress in a single session. Progress is made over weeks, months and years of training. Any progress you make in a session is a result of the work you put in over the weeks and months that precede it. Without going into loads of detail about RPE or reps in reserve, I’ll just say you should leave at least 2-3 reps in the tank on most of your sets, particularly on the big, compound lifts. If on your last few sets of curls or lat raises you want to push yourself and go close to failure, then go for it. But definitely stay clear on the heavy compounds. At least most of the time. Remember, your aim in the majority of training sessions is to build strength, not test it. It’s not often thought of as such, but lifting weights is a skill. With the big barbell lifts having the largest skill component. Like any skill, it should be practised often. But you want it to be good practise, deliberate practise. So make sure every rep is as close to perfect technique as possible. You don't want to practise bad technique. Note: There's not a singular perfect technique, only the perfect technique for an individual. You want to ‘teach your body’ to perform the movements. There’s a sizable neural component when it comes to strength gains, (sorry, that should be gainz). Which, in basic terms, is your brain learning how to contract your muscles more forcefully and in a more synchronistic manner. So, the more you can practise good technique, the better. This is another reason why going close to failure often isn’t a good idea. You don’t want your body learning poor technique. The more reps you do that are close to good technique, the quicker your body will learn that that’s the way to do it. The more you can practise good technique the quicker your body will learn how to perform the lift. In the long run this will lead to better progress. Limit the number of poorly performed reps by staying away from failure. Even on all your warm up sets, set up the same way every time. This one very much follows on from the one above. To get good at the skill of lifting weights takes practise. And each rep and set is practise. So you want to do everything you can to make sure each rep is the same. There's no point doing each set differently, because that's not teaching your body good technique. To help make sure each rep and each set is as close to identical as possible, you should have a set up routine. Particularly for the big lifts. Just like Jonny Wilkinson had his routine before kicking the ball, you should have your own little routine before you perform a lift. It doesn't have to be anything fancy, just something repeatable that helps set you up to perform good technique. Obviously, for isolation/machine work, you don't need a set up routine. But for lifts such as bench, squat, deadlift and the Olympic lifts, find a way of setting yourself up that you repeat every time. It will make it easier to practise the same technique each rep.
Each rep of a lift is practise, and you want those reps to be as identical as possible, so having a simple, repeatable routine to help set you up works wonders to make sure each practise rep is the same, (or as close to the same as possible). Love chocolate? 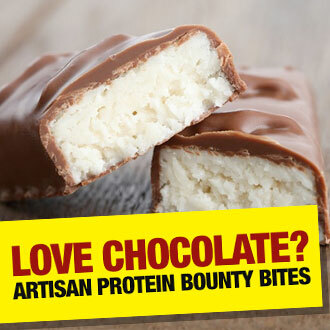 – well then you'd better get over to our ARTISAN Protein Bounty Bites page and get ordering!